"If the RCP is the ‘jewel in the crown’ of the Council/Edinburgh Leisure's swimming portfolio, then Leith Waterworld is the' ugly duckling' . The motion in Feb was to delay the sale of LWW to see if a community bid might be forthcoming. It was important to us, that Splashback was not mentioned in this motion – we always said that we were just one part of a community and that others would be needed. I don’t need to say that we consider the Council to be part of that community. So what have we been doing for the last four months? We have undertaken an extensive survey of the alternative sites both within and outwith Edinburgh, through our Homeless Itinerant Bathing Society (Edinburgh Branch) project – and we believe that we have comprehensively proved that there is nothing like LWW available locally. We have always said that Leith Waterworld is not a swimming pool – that it’s a playpark with water. Edinburgh Leisure is in agreement with us that there is now a gap in their portfolio. We have been working on a business model, looking at future ways to increase the revenue whilst reducing the expenditure and we believe we have got a model that works, and that brings the subsidy required down to under the Scottish average of £2.18 per visitor, which would equate, according to the final years attendance, to a annual subsidy of £260,000. We believe that this makes this an issue of equality – we are not asking for more than is average. These figures have been discussed, tested and found to be credible in our meeting with council officials on 25th May. There is no doubt that they is more to be done on the figures – our projections don’t include any projected new income streams – such as an increased soft play/classes or increased opening hours. We also need to input the alternative pricing options we have uncovered through our market research. All of this takes time – a business plan is solely an exercise if it is not credible. At our meeting with officials it was great to test this, but we would value further expertise from the Council. All business plans are built on solid, robust market research. We have sought comparators – Wester Hailes Pool and Dunbar Pool – and it is fair to say we have been frustrated in our efforts. People, I would suggest, view us as an itch rather than credible which is as you can imagine incredibly frustrating – we need the weight of the Council to assist us with this. We have designed a survey and taken it out on a roadshow – from the Parents Like Us festival, to outside LWW itself, at the Leith Gala Day and hopefully this Sunday, Edinburgh Leisure permitting, at Royal Commonwealth Pool. Leith Gala Day - running on Polish techno! We have had numerous meetings to build a community of support for what we are trying to do – this is my fifth meeting this week alone! 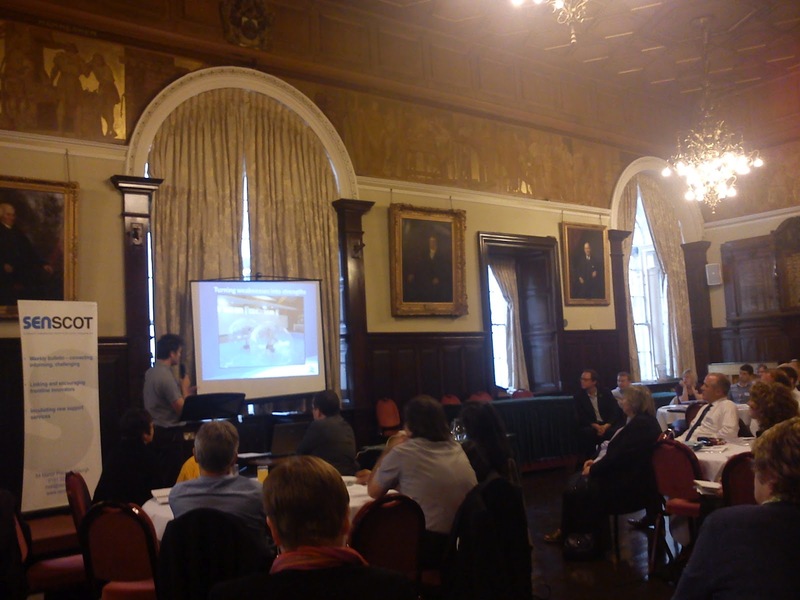 We are going to the Senscot Sport and Social Enterprise Conference in Glasgow this week to hear about other models of community run facilities in Scotland and further afield. Not least the support of the public in Leith and in the wider Edinburgh community. All of this takes time to build and time to secure. We have met with council officials to discuss our potential bid, and in truth, we feel we have the door has been answered but the Council are not sure whether to let us in yet. At the moment we have got various parties to the table: the one seat not taken up is that of the Council. Please don’t doubt the sincerity of our effort, the scale of the effort in terms of voluntary labour goner into this, and our desire to convert this investment of effort to build a positive solution that provides increased leisure opportunities to Leith but as importantly to all of Edinburgh and its visitors – a win-win for all involved. In terms of the briefing today – we don’t want to rake over the past, but we believe that the decision taken in 2005 is redundant – those were the good times – everyone was high – Edinburgh was in the middle of a property boom. Trams were going to come to Leith as part of a network across the city; a million homes were to be built as part of the stock transfer; Western Harbour was to be a flowering of a Riviera, a new European style Leith – buoyed by foreign investment, and employment was at a record high. 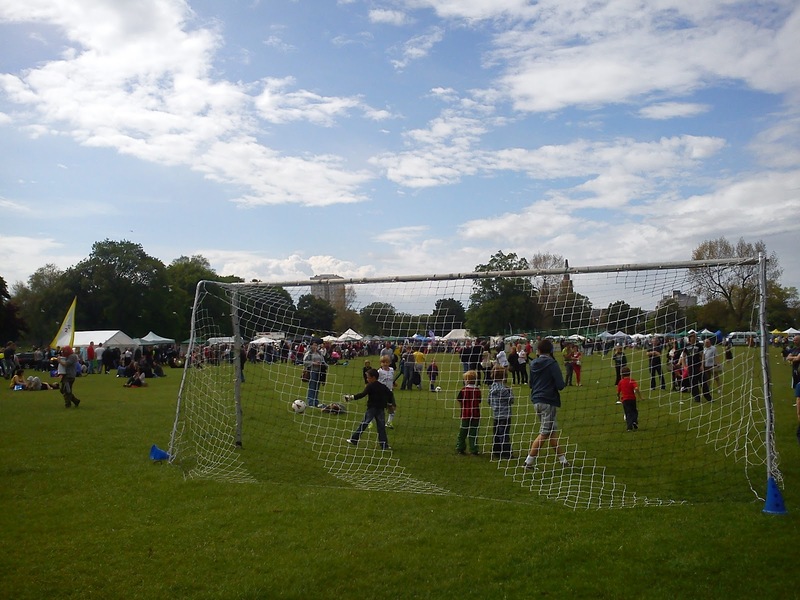 At that time, the decision was part of a wider review into the city’s national and regional sporting infrastructure. The name of the game was to be competitive – to compete with other cities. The decision needs to be seen in that context. And then the crash happened. The plan that this formed part of is now in bits – no community stadium in Sighthill (despite £1.2m spent on design); no refurb of Meadowbank due to a fall in property prices; no football academy at Hunters Hall; the bailout of Ratho had cost the public purse some £11m since 2005; the RCP project has been completed but at the cost of £7m over the agreed 2009 figure. City Park? Even the officials are not sure if it has been sold. The sole part of the plan going through unchanged is to deal to sell Leith Waterworld for a hopeful figure of £1.5m, although again there is uncertainly about the funding gap at the RCP. And yet since the decision was taken in 2005, LWW gets an average £100,000 more income per annum. 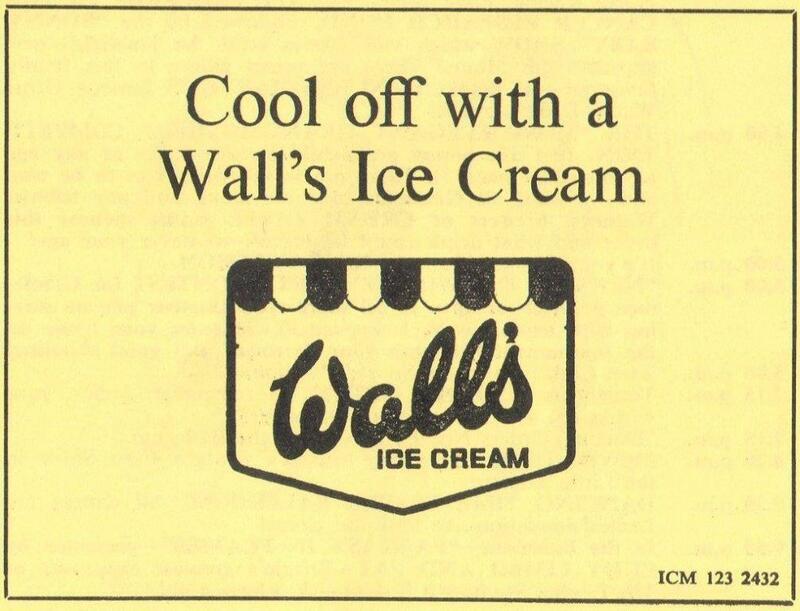 Now, whenever I go to buy a choc ice, I don’t just take into account the price tag alone. Yes, I look at what it costs but I also look at what’s inside; how much chocolate there is, how cool it will make me feel and how luxurious the taste is – and I weight up whether I think its worth the price tag – it’s value. 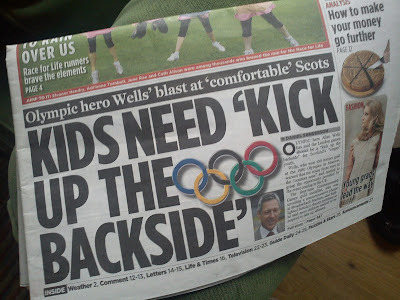 On Monday Alan Wells was quoted in the papers saying Scottish Kids need “a kick up the backside’. They don’t, they need local local facilities – we prefer the carrot to the stick. (This is 2 – 5 yrs olds olds…) Exactly who LWW provides for. 1 in 3 children in Leith live in poverty. Free primary swimming was scrapped by Edinburgh Leisure in Jan 2010, resulting ( from our reading of the stats and contested by EL) in an almost halving of numbers of primary aged children swimming (25,000 instead of 40,000 per annum). Leith Waterworld had in the last year 126,000 visits. It brought 48,000 people from throughout Edinburgh to Leith – think of the impact to the local economy. And all this achieved without any active marketing since 2005. Splashback is not coming to Council pleading that it is reopened – we have put the begging bowl away. We are coming to you with the facts about the impact of the closure. We would love to see what studies the Council or Edinburgh Leisure have done on this? 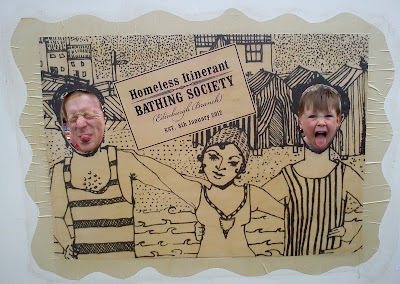 We asked ‘Are you and your family swimming less since the closure of LWW? ", and 67% said yes – I know this from my own family’s experience. We believe that a reopened facility would be a fantastic opportunity for this council to make its mark. To state its intention to listen and co-operate with communities. To put community desires ahead of party politics. Splashback has done what it can, within the time allocated to make this a reality, but we don’t doubt the amount of work still to be done, but we would really value the Council’s support and help. We think that this could be a co-operative community flagship. There are only three figures you need to know. The ongoing subsidy. We believe and that we can get this down to under the Scottish average annual subsidy for swimming pools (which would equate to £260,000, reducing as we expand and add to income streams). This has been investigated with Council officials and requires further input on our business model. Resulting in zero impact to council budgets. Councilors, the most important thing about today it that we have the chance to represent ourselves, rather than be represented. And apologies from other campaigners, who couldn’t make it today due to the very short notice given. For us, this marks a more listening and respectful approach. We take heart from this – we are pleased that we are starting to see signs of co-operation. We are heartened by the administrations talk of a co-operative council, heartened by plans for setting up a Co-operative Development Unit within the Council to assist communities in exactly this sort of project, and heartened and by the national SNP’s recently announced Community Empowerment Bill. All this starts to signal to us, a Council that wants to work in tandem with communities and not against them. We would, ideally, like to put Splashback to bed – to launch Springboard – a new partnership that considers the future of LWW with all the seriousness and respect that this issue deserves. But we are not blind - ultimately we want to see if reopening LWW is feasible. If it’s not, lets not do it. If it is, then lets work together towards that end.